"Everything was more than satisfactory! I loved every minute!" Discover the grandeurs of Egypt while leisurely sailing the Nile. Imagine, sailing the majestic timeless Nile River between Luxor and Aswan in the comfort and modern splendor of one of your soon-to-be favorites; luxury 5-star Sonesta Nile cruise ships: the Sonesta Moon Goddess, the Sonesta Star Goddess or the Sonesta St. George I. One of the "greatest experiences of your life" commences with your flight connecting into CAIRO (Egypt). At CAIRO INTERNATIONAL AIRPORT, you will be met by the 'TRAVEL HOUSE OF EGYPT' representative and transferred to the CAIRO SONESTA TOWER HOTEL (or similar Superior Comfort Level Hotel) for the next 2 nights in Cairo. A morning drive will bring you to SAKARRA, about 22 miles south of Cairo. Some of the oldest pyramids and a complex of pharaonic burial sites are found here. Next, you will visit the newly opened PYRAMID of DAHSHOUR. After lunch, a short drive will bring you to GIZA where you will marvel at the grandeur of the PYRAMIDS, including CHEOPS, which is one of the Seven Wonders of the World. Seeing the ageless pyramids along the Nile is like stepping into a time machine. Coming face-to-face with the SPHINX, who has been staring into the desert for five-thousand years, is wondrous. Following an early morning flight to LUXOR, you will board a beautiful Deluxe Sonesta Nile River Cruise (or similar Superior Comfort Level Ship) for the next four days. Your first 'On-Land' excursion is to the East Bank of the Nile, seeing two of Egypt's finest temples, LUXOR and KARNAK. The 4000-year-old Karnak was the seat of Amon-Re, the Imperial God. It may just take your breath away as you survey the temple structure which focuses on the awesome HYPOSTYLE HALL. LUXOR, sacred to Amon, is beautiful with its impressive statues of Ramses II. There you will marvel at the inner sanctuary rebuilt by Alexander the Great . . . better yet, recognize familiar signs and symbols of temple worship which reveal the eternal nature of covenant making. The morning begins with crossing the NILE to the West Bank and continues with a lively visit to the NECROPOLIS of THEBES, burial ground of the great Pharaohs, and also the COLOSSI of MEMNON. Today's highlight is visiting the fabulous VALLEY OF THE KINGS, where, so far, sixty-four Pharaonic tombs have been discovered, including TUTANKHAMEN'S TOMB. Winding through tunnels and corridors, you discover the TOMB OF SETI-I, an extraordinary underground complex with breathtaking paintings. Passing through the river locks of the Nile at ESNA, you head for EDFU, where horse-drawn carriages will take you to the best preserved temple in Egypt, the TEMPLE OF HORUS, the Falcon-headed God. A clearer comprehension of religious rituals emerges as you gain a better understanding of how temple worship must have been conducted in ancient Egypt. A noon sailing takes you to KOMOMBO. Visiting the unique Greco-Roman temple perched majestically along the Nile, you begin to realize that everything in this 'Double' temple is built in pairs, dedicated both to the crocodile-headed Sobek, God of Nile fertility, and Haroeris, the Sun God. After breakfast, you will leave the stately Nile Cruise Liner for a memorable visit to the ASWAN DAM, situated on the Nile's first cataract. Seeing the PHILAE TEMPLE is a delightful experience. Then memories of the Pharaoh's monuments are awakened as you walk in Aswan's PINK GRANITE QUARRY. You will recall these memories as you rediscover granite pillars as distant as ancient Caesarea in modern Israel. An afternoon of interest is in store as you circle the ELEPHANTINE ISLAND and sailing in a traditional NILE FELUCCA, bringing you in and around the many surrounding islands. A stop at the BOTANICAL GARDENS is like a walk through God's garden. The AGHA KHAN MAUSOLEUM is a poignant reminder that man is continually building magnificent buildings to worship God. Experiencing CAIRO includes hearing about Islamic religion in the ancient mosques, and sensing the bustle of nearly 14-million people. Visiting the CITADEL, the MOSQUE and the BAZAAR is experiencing an enthralling mix of old and new. In the Bazaar you can begin practicing the ancient art of bargaining. 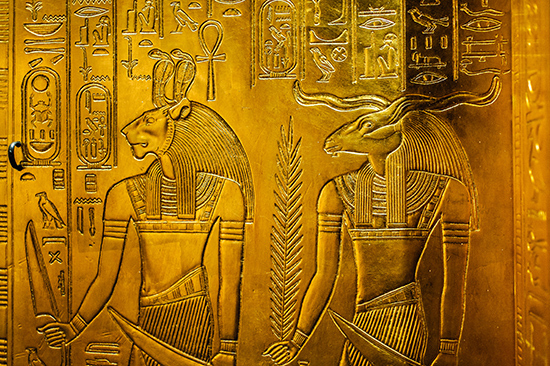 In the afternoon, enjoy the treasures of the EGYPTIAN MUSEUM and the fabulous KING TUT TOMB EXHIBITION. The evening ends with returning to the CAIRO SONESTA TOWER HOTEL (or similar Superior Comfort Level Hotel) for the remainder of your stay in Egypt. Optional MAGNIFICENT PETRA tour departs Cairo this evening. Upon departing this morning, follow the ancient Israelites' route into the Holy Land through today's Kingdom of Jordan into Israel. Crossing over the Sinai via modern jet plane is reminiscent of the forty-year trek the Israelites took although they did not have the comfort or speed of air travel. After passport control in Amman you will claim your luggage. Upon exiting luggage claim & customs a 'PLAZA TOURS' representative will meet you and assist you onto your transfer to the Jordan River crossing into the Promised Land for your ISRAEL REVEALED Program. Compare us to other LDS tours. Reveal your insights today. Call +1 800 272 RONA (7662) now! You may choose 3, 4, and 7-night relaxing journeys between Aswan and Luxor. The memorable contrast is in stepping from modern luxury into ancient landmark temples, tombs and ruins along the Nile. Experience first-hand the wonder of moving pyramids and temples to build the Aswan Dam. You’ll enjoy guided excursions with Egyptologists as they highlight the antiquities and bring you back to delightful leisure activities on the ship each day. What an experience to enjoy upscale hospitality along with 5,000 years of history unfolding before you on a memorable journey through ancient Egypt. Tour with us to reveal your Holy Land insights today.